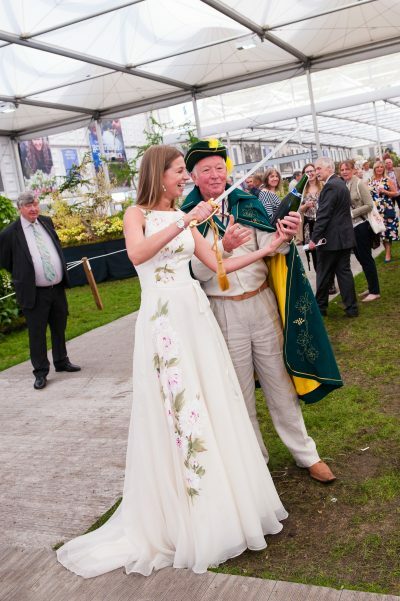 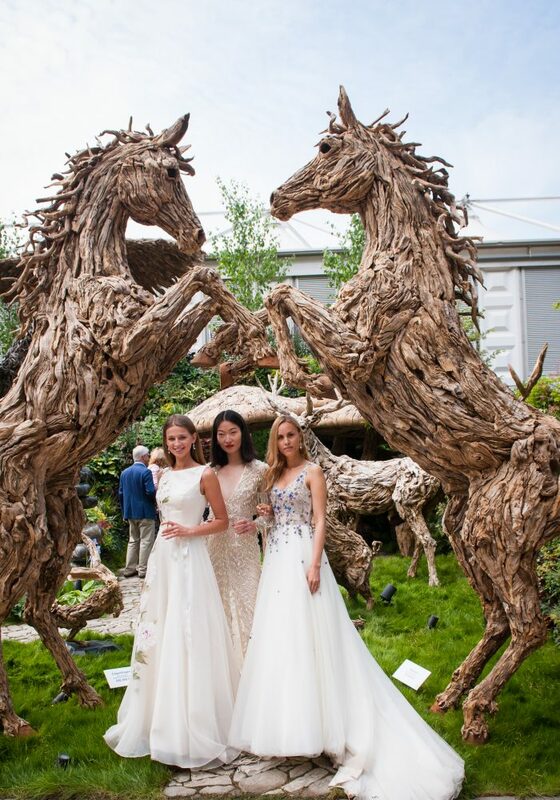 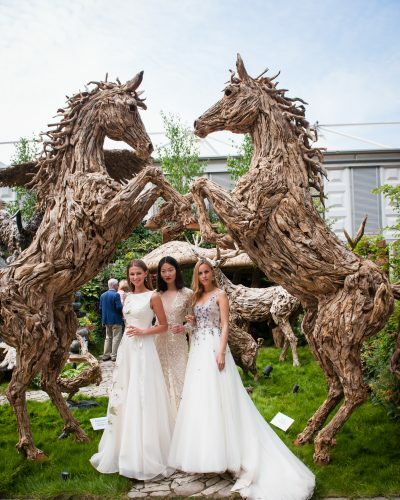 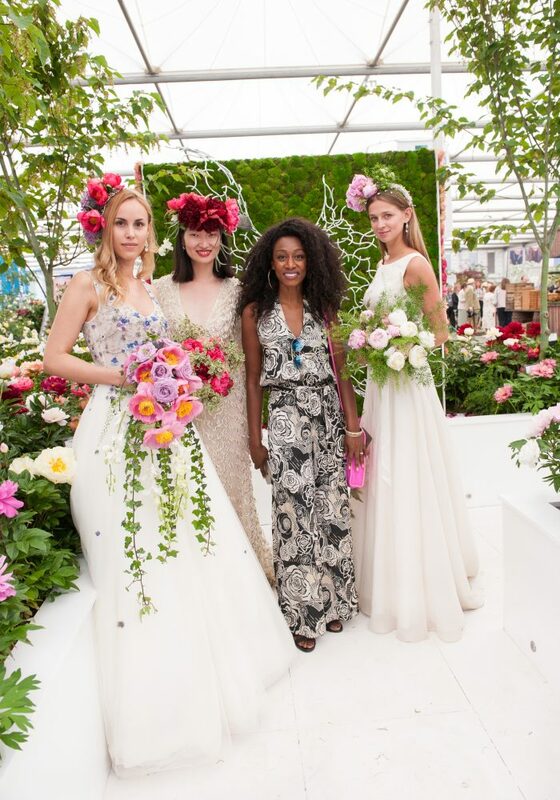 We had a fantastic time at the Chelsea flower show recently. 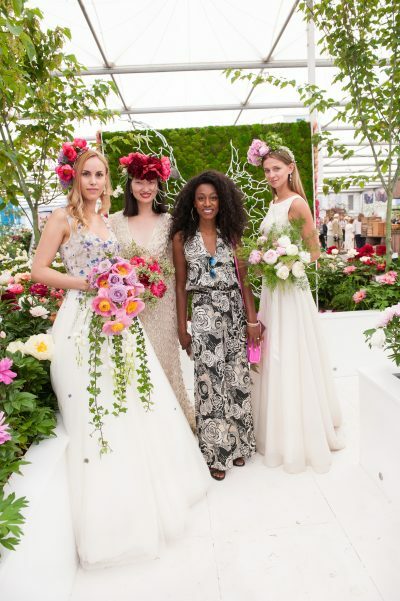 We collaborated with Alex at Primrose Hall Peonies to present a perfect fusion of fashion and flowers. 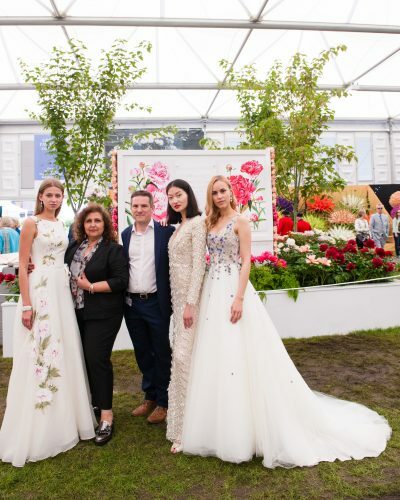 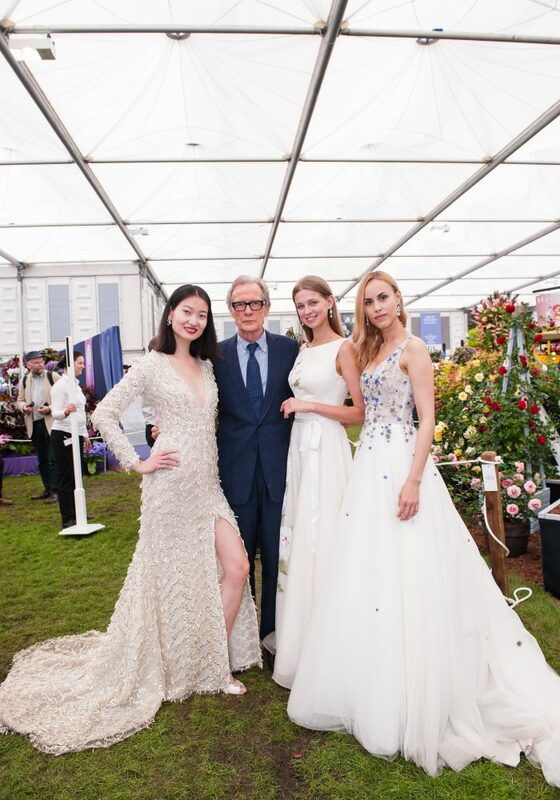 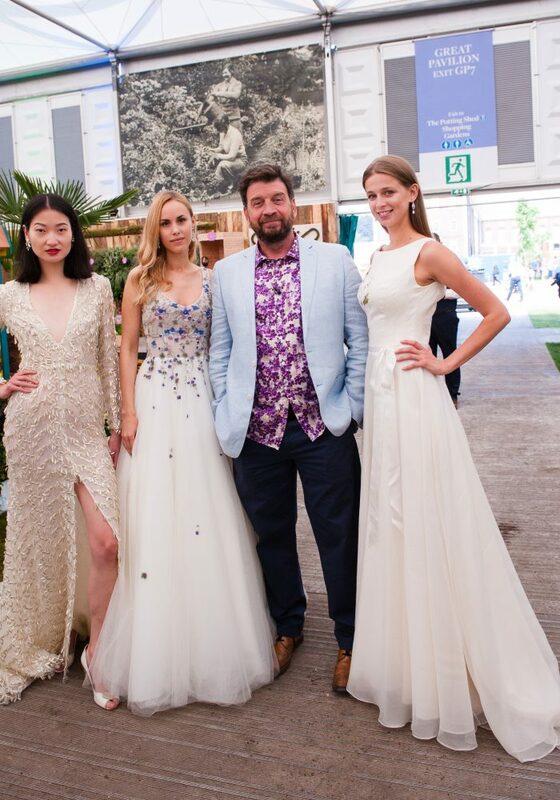 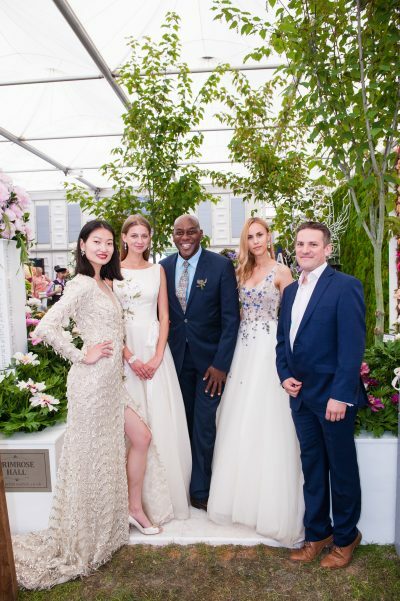 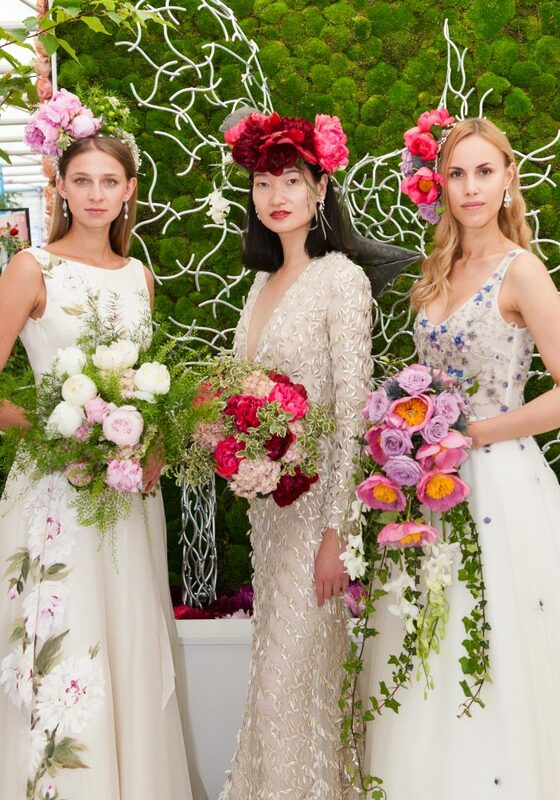 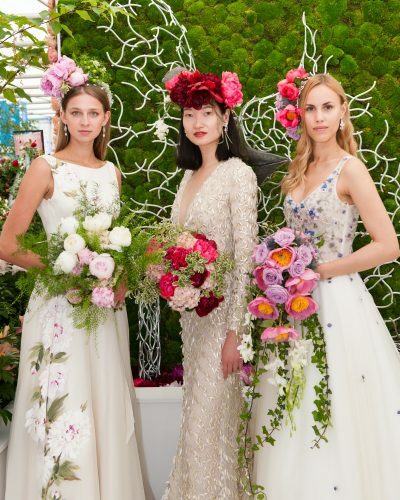 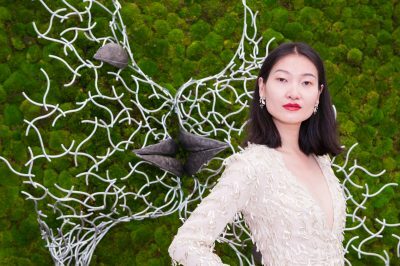 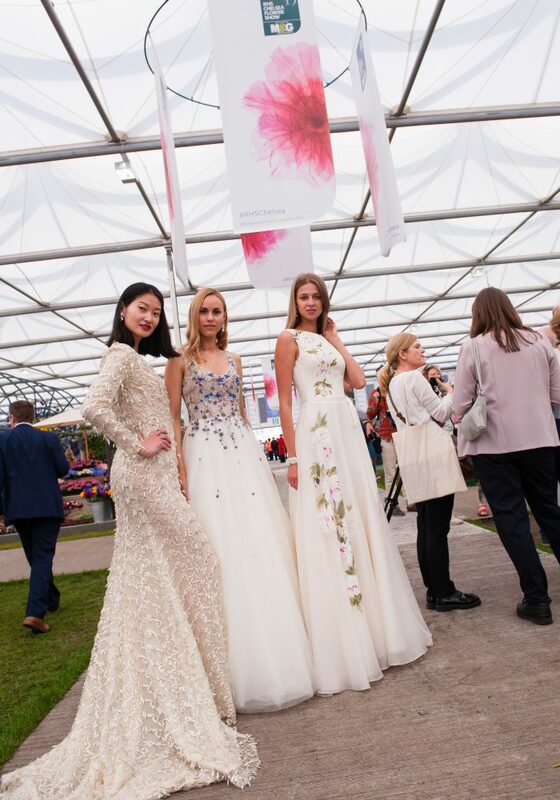 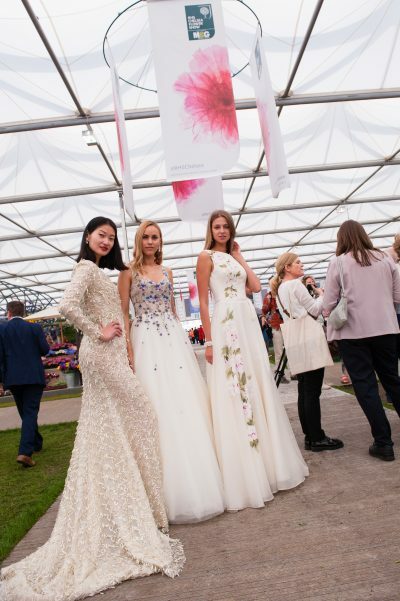 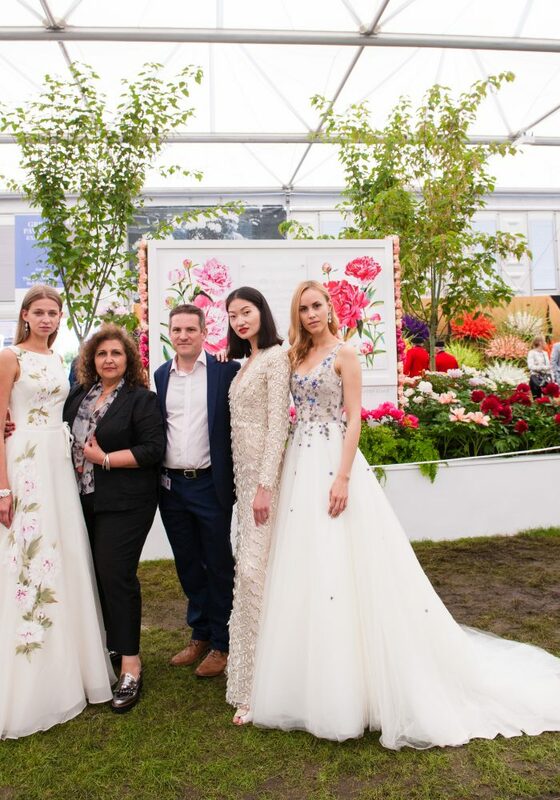 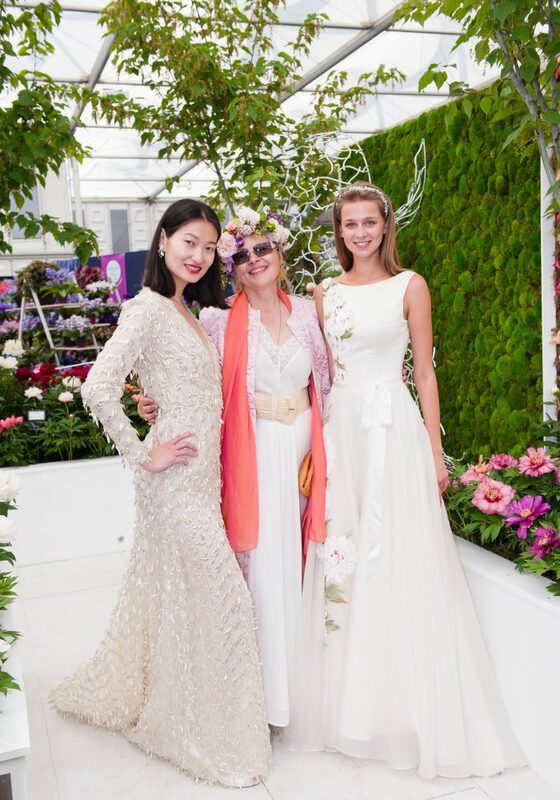 Marguerite attended along with our three fab models, Antonia Meng and Steph who wore three of our new couture gowns and were also festooned in gorgeous peonies from Primrose Hall. 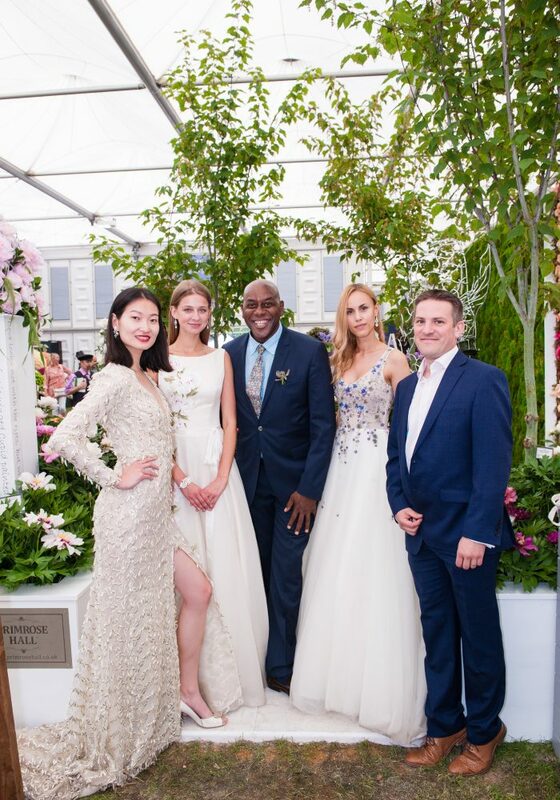 On hand to capture all the action was photographer Caron Saunders who nailed some fantastic shots. 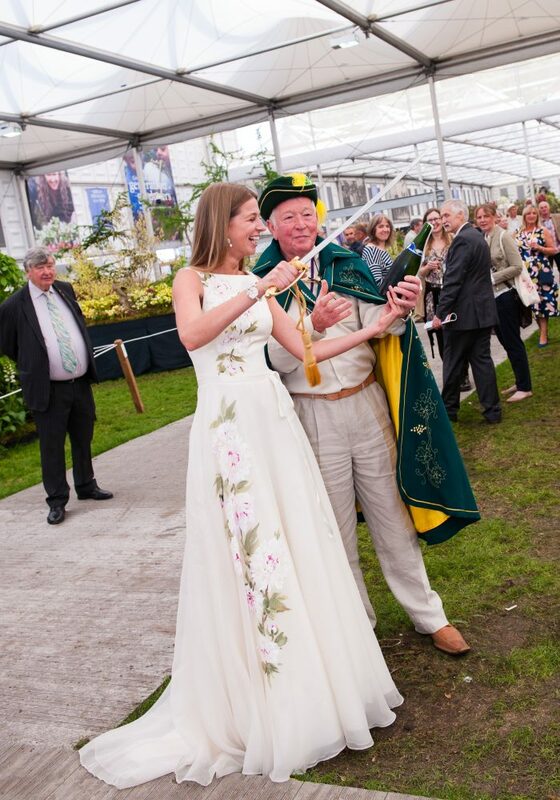 See if you recognise some of the celebrities who we caught up with during the day.